Matthew Bannister on haematologist Sir David Weatherall, film director Penny Marshall, inventor Evelyn Berezin, Soviet dissident Zhores Medvedev and singer Nancy Wilson. Sir David Weatherall, the world renowned haematologist and geneticist who pioneered molecular approaches to medicine. Penny Marshall, the first woman to direct a film which grossed more than a hundred million dollars. She also starred in the US TV sitcom Laverne and Shirley. Evelyn Berezin who invented the first computerised word processor for secretarial use. Zhores Medvedev, the Soviet scientist who revealed the use of psychiatric hospitals to lock up political dissidents. 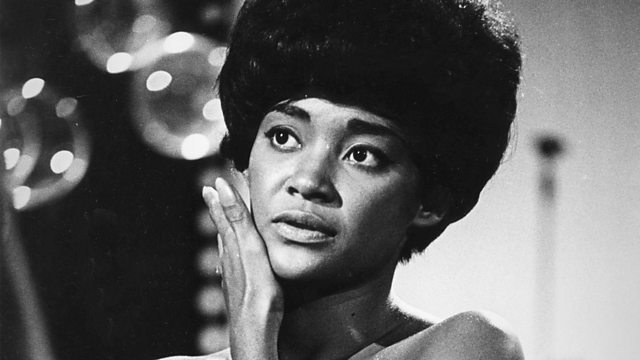 Nancy Wilson the versatile Grammy award winning singer who recorded jazz, pop and R&B songs. Archive clips from: Eureka: David Weatherall, Radio 4 03/12/95; Science at War: Hydrogen Bomb, BBC Two 10/12/98; Newsnight, BBC Two 21/03/84; Newsnight, BBC Two 28/04/86; Happy Days, Henderson Productions/Miller-Milkis-Boyett Productions/Paramount Television; Big, American Entertainment Partners II LP/Gracie Films/Twentieth Century Fox, 1988; The Talk of the Town, BBC TV 30/04/72; Oral History of Evelyn Berezin, Computer History Museum, Interviewed by Gardner Hendrie 10/03/14 in New York. Born 9 March 1933; died 8 December 2018, aged 85. Last Word spoke to his friend and former student Tom Soloman. Born 15 October 1943; died 17 December 2018, aged 75. Last Word spoke to film critic Larushka Ivan-Zadeh. Born 12 April 1925; died 8 December 2018, aged 93. Last Word spoke to Matthew Kirschenbaum, Associate Director, Maryland Institute for Technology in the Humanities. Born 14 November 1925; died 15 November 2018, aged 93. Last Word spoke to Guardian columnist Jonathan Steele. Born 20 February 1937; died 13 December 2018, aged 81. Last Word spoke to singer Tina May.